Dunham Web has been providing Web Design and Digital Marketing in the Hamilton and Toronto area for over 20 years. Whether you need a new website, better SEO or website hosting, we invite you to contact us for a free consultation. 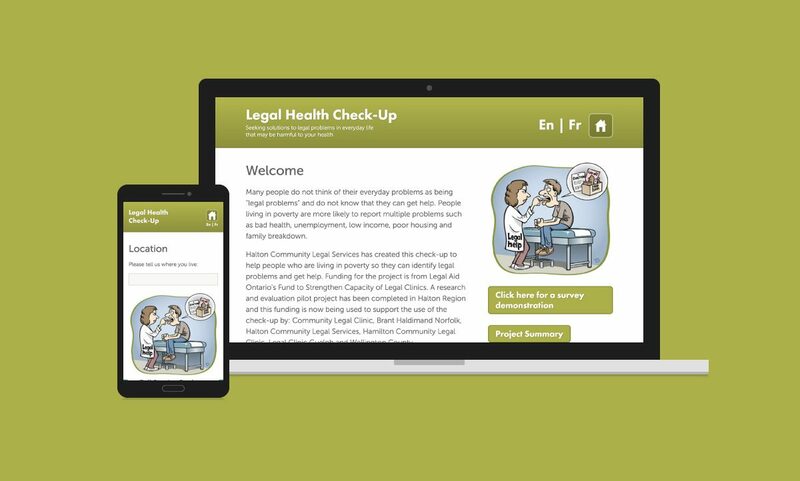 The Legal Health Check-Up website is an accessible and bilingual online tool that helps people living in poverty identify legal problems and get help. With robust reporting tools and user-management it is being used by an expanding listing of legal clinics in Ontario. "Thank you for the amazing work that your team has done on our new site. It looks great and everyone here just loves it! As always, it has been a pleasure working with all of you!" "We have been working with the Dunham Group for over 15 years. During those years they have developed a few websites and a secure IT infrastructure. Their staff is professional and always responds right away. They truly are a one-stop shop!" "I approached the Dunham Group to design a website and help advertise my services online. Traditional advertising was both expensive and ineffective. They created a mobile-friendly website and digital marketing strategy that helped take my business to the next level." "Our website needed substantial changes to be more consistent with our new directions and modern times. Dunham Web responded generously and quickly and we absolutely love our new website. It's functional and truly represents the work of the Kemp Hospice. Thank you for all your wonderful work." "My thanks to Dunham Web for all you have done for us. You listen, you respond and you get amazing results. My phone has been ringing off the hook!"